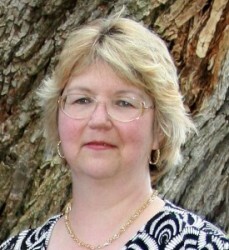 For over 20 years, Sherry, a professional bookkeeper, Tax Return Preparer & “Certified QuickBooks ProAdvisor,” has been working in the industry providing quality & personalized financial guidance to local individuals and businesses. Sherry has established Account-Abilities LLC in 2002 with the primary goal of helping independent businesses handle their management, bookkeeping and tax preparation needs. Over the years we have helped hundreds of businesses manage their operations pro-actively, enabling them to plan their business growth and taxes instead of reacting to the day-to-day problems. The staff at Account-Abilities LLC are dedicated to assisting small business owners to help them understand and better control their bottom line. We also know how important your time is as a business owner, so we pick up and deliver for your convenience. We are committed to providing close personal attention to our clients. We focus on building close relationships that add long term value. We provide all our clients, prompt and professional services. Our primary concern is your business’ success. Our success is a result of your success. Do what you can, We’ll do the rest.